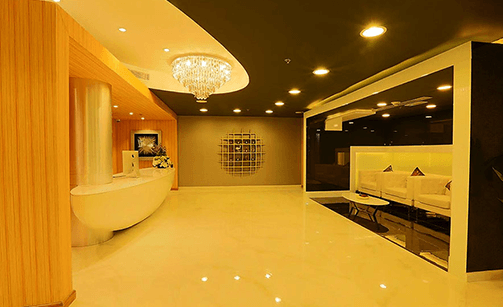 Centres designed for advanced implant dentistry for people seeking dental implants in India or dental implants in Mumbai and Delhi NCR. I have always hated going to the dentist. Dr. Karishma at dentzz was friendly, knowledgeable, efficient, and gentle. I went to have my teeth cleaned, an experience I usually dread..i won't say it was pleasurable because that would be a stretch but the clinic was bright and soothing, her manner was warm and caring and my teeth look and feel great! 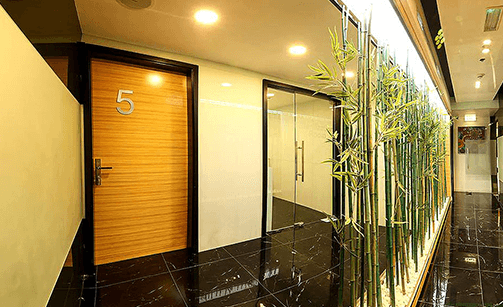 They have state of the art technology, modern equipment and gentle bedside manner. 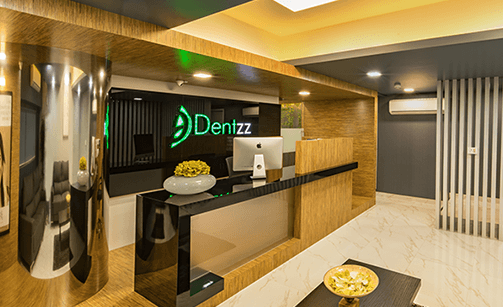 I have already recommended dentzz to five friends and family members and I ve promised to go for my regular check ups! Man has endeavored since centuries to find a more natural replacement for missing teeth. Today’s contemporary, new age material has allowed that chase come to an end. Modern day’s dental implant has become possible because these materials were combined with years of research. Clinical trials done on them have yielded positive results leading to this practice being seen as the most natural solution for missing teeth. Replacement of a single missing tooth with a single stage Nobel Biocare implant. (artificial tooth) over the implant. 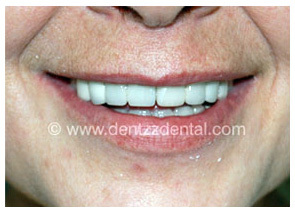 Replacement of all teeth with dental implants and prosthesis. Single Tooth Replacement: Requires the placement of a single dental implant in the region of the missing tooth, followed by a crown (artificial tooth) over it. Multiple Tooth Replacement: Depending upon the number of missing teeth, the same number or a fewer number of dental implants might be required. 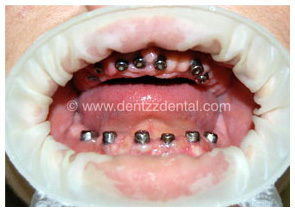 For example, the replacement of 3 teeth can be carried out using a 3 unit bridge placed over 2 implants. Replacement of All Teeth: Replacement of all teeth can be carried out either by the placement of implant supported dentures or by the placement of multiple unit bridges placed over implants. The process involves placing highly advanced titanium deep into the bone where the tooth replacement is desired. This titanium device acts like a support for the crown or the ‘artificial tooth’. As the implant material used is highly biocompatible, all dental implants at Dentzz are placed under strict standards of hygiene and sterilization making dental implants a safe, comfortable and a permanent solution. 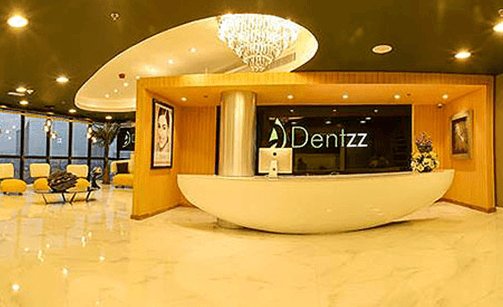 At Dentzz, we treat all our patients using the most advanced systems at the most competitive prices. So what do dental implants in India do? Getting yourself a dental implant restores your chewing to its natural form. With this treatment, one can simply enjoy the freedom of eating food that was difficult to eat earlier. Be it an apple or some meat, these implants are assured to withstand extreme forces experienced while eating and chewing. Let you regain the closest feel, look and function of your natural teeth. These look just like (and sometimes better!) than your natural teeth. Make you feel confident that your replacement teeth (implants) won’t loosen or move. Give you the freedom to do away with those viscous adhesives. 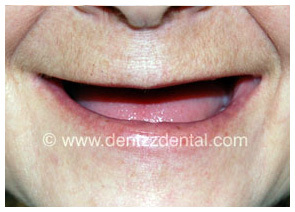 Make it possible to forget those denture clasps which placed damaging pressure on gums and the remaining natural teeth. These last a lifetime, giving you a better than expected return on your time and money. Why are we your ideal choice for dental implants India? 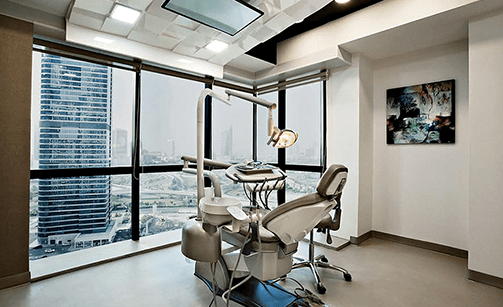 At Dentzz Dental, we use only the best cutting edge dental technology from around the world. From CAD-CAM imaging to 3D printing, we leverage state of the art dental technology to offer exemplary dental care to all our patients. Watch this video for one more reason to visit Dentzz. Dental implants India at Dentzz are performed by team of Implantologists for surgical precision of the implants and Aesthetic dentists for supreme aesthetics of the crowns (visible teeth). Our team has received advanced training from countries across the world including Germany, U.S.A, and U.K. We would be happy to provide you with their profile based on the city you choose for your treatments. We have placed thousands of implants for people across the world with a success rate of 99.2%. We use only globally accepted implant systems such as Nobel Biocare, Biohorizons, Xive, Zimmer, Ankylos and many more. We provide warranties of up to 20 years on our work as we are supremely confident of the expertise we deliver. Our prices are the most competitive. As we have a very high volume of cases, we are able to purchase implants at a very low cost and this benefit is passed on directly to our patients. With our broad range of implant options like immediate load implants, all on 4, all on 6, mini implants, basal implants, one visit implants, zirconia implants, implant supported dentures etc. we have become the ideal choice for anyone seeking dental implants India. 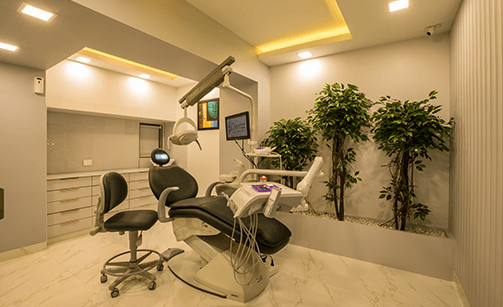 With hi tech equipment such as in house CT scan machines for instant diagnosis, we have the most hi tech centres, ideal for patients seeking the best dental implants in Mumbai. We understand that dental implants India are not just a dental need but also an emotional one. 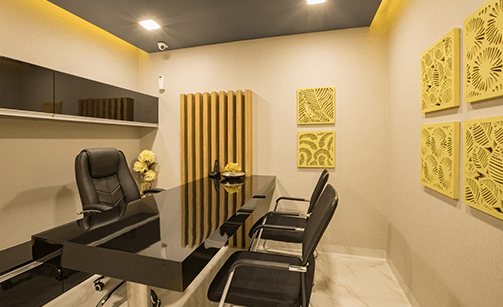 We have specially appointed counsellors to guide you through the entire process of making an informed choice and to be in regular touch with you once the procedure is done. Regular dental check-ups under the guidance of our experienced dentists ensure healthy and pearly white teeth. Our top notch infrastructure, our unique and strict recruitment process, and a world class management team make us an ideal choice for all your dental requirements. Our employees receive advanced training, we are backed up by experience of placing 1000s of implants successfully through a globally accepted implants system. Our feather touch dentistry gives you a pain free experience like no other while relaxing in a soothing environment and receiving the best skills and expertise the industry has to offer. Dental implants are metal posts or frames that are placed in the jawbone beneath your gums, to mount replacement teeth. What is the benefit of dental implants? Dental implants restore lost teeth, while looking, feeling and functioning like natural teeth. They are long lasting and protect your jawbone from deterioration. Dental implants are the perfect choice for anyone missing one or more of their teeth due to injury, disease or decay. The treatment is applicable for all age groups. At Dentzz we offer immediate load implants, all on 4, all on 6, mini implants, basal implants, one visit implants, zirconia implants and implant supported dentures. Is it possible to get implants for a tooth or even multiple tooth? 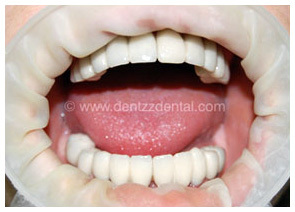 At Dentzz we provide replacement of single tooth, multiple tooth as well as all of the teeth. With time, the dental implant fuses with the jawbone and establishes a strong and long lasting foundation for your replacement tooth to mount. How long does it take? - I’ve heard the procedure can take several months. Is that true? The time frame depends on the technology and the case itself, it can be completed either in a single day, two weeks or even two stages spread over 3 months. Dental implants involve the placement of titanium deep into the bone, where required. At Dentzz, strict hygiene standards are maintained and therefore these implants are placed with repeatedly sterilized instruments. Who is eligible for dental implants? Any person from any age group, who are missing one or more of their teeth due to injury, disease or decay are eligible for dental implants. Is it is a painful process? No, most treatments at Dentzz due to technological advancements are painless. Which is better – Crown or Dental Implants? Dental implants do not apply any pressure on the other teeth, require little maintenance and are longer lasting as compared to crowns. Generally a dentist uses a local anesthesia for most patients. The titanium is then placed deep in the jaw bone with the help of highly sterilized equipment. These dental implants can last a lifetime, if they receive the recommended care. Yes, dental implants are absolutely safe. Any warranty or assurance on Dental Implants? I'm interested in dental implant surgery! What’s the next step? You can book an appointment online here or call our helpline numbers for the same. What precaution do I need to take before getting dental Implants? Good oral hygiene is always recommended before your dental implant procedure. Any specific brushing guidelines I need to follow before getting dental implants? Brush your teeth twice a day, as you would on any normal day. Is there any treatment needed before the dental implant surgery? No, just the maintenance of regular oral hygiene practices is recommended. Any specific diet I need to follow? No, you can eat whatever you like, just avoid any food with high citrus or caffeine content. What precautions do I need to take after getting dental Implants? Avoid extreme temperatures such as cold or hot drinks as well as hot food directly after surgery. Try not to disturb the area by swilling liquid around your implants or fidgeting with your fingers and tongue. Do not undertake strenuous exercise for the first 48 hours. Any tooth cleaning guidelines to avoid further bleeding? You will generally be prescribed with a mouthwash after the procedure. Start using that after the anaesthesia wears off. Try and avoid the area that has received the implant, but brush normally for the rest of the mouth. How to keep my teeth clean and hygienic after Dental Implants? Use a mouthwash as recommended by us at least three times a day and continue to brush your teeth starting from the evening of your surgery, however avoid the surgical site for a few days. What are the side effects of Dental Implant Surgery? There are no major side effects to dental implants surgery, if all prescribed measures are followed. Can I smoke after Dental Implant surgery? It is advisable to avoid smoking until the wound has healed. Unless, you feel an unbearable amount of pain or are experiencing extreme discomfort, you do not need to visit the Dentist till when your dentist suggests. Any guideline for chewing food? It is best that you chew from the opposite side of the dental implant, so as to leave the area to heal quickly. Chewing slowly is always advisable. A patient from Australia shares his overwhelming dental implant experience at Dentzz.